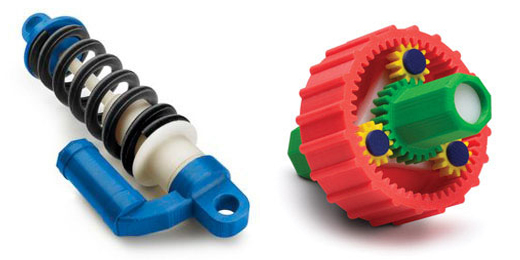 FDM uses high-performance thermoplastics, the same strong materials used for injection molding. So they’re tough enough to endure heat, chemicals, humidity and mechanical stress. Soluble support materials make it possible to build geometries that would be impossible with traditional manufacturing. FDM produces parts with a level of consistency that’s more reliable than Stereolithography (SLA) and Selective Laser Sintering (SLS), which use resins that may depreciate over time. The technology is clean, simple-to-use and office-friendly Supported engineering-grade thermoplastics are mechanically and environmentally stable Complex geometries and cavities that would otherwise be problematic become practical with FDM technology.